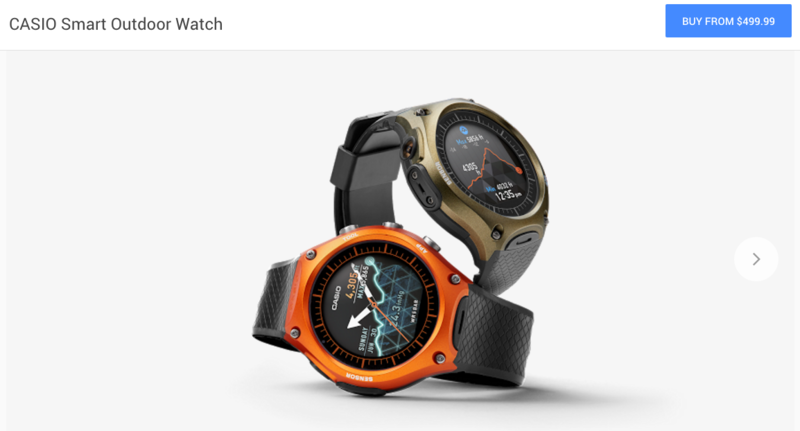 After seeing it unveiled at CES this past January, the Smart Outdoor Watch from Casio is now available for purchase on the Google Store, priced at a whopping $499. With that $499, you get a Android Wear-powered smartwatch that, as the name would suggest, was built for the outdoors. Including water resistance, stainless steel body, mineral glass, and a urethane wristband, this watch should be able to take quite a licking, but shall keep on digitally ticking. Built-in by Casio, the watch features a hefty amount of custom watch faces, as well as software tweaks that greaten the device’s usability while doing outdoor activities such as running, biking, and camping. One huge omission from this device, especially considering its $499 price and outdoor centric approach, is GPS. The Smart Outdoor Watch has no GPS antenna. Go ahead and let that soak in for a second. The watch is available now for purchase.